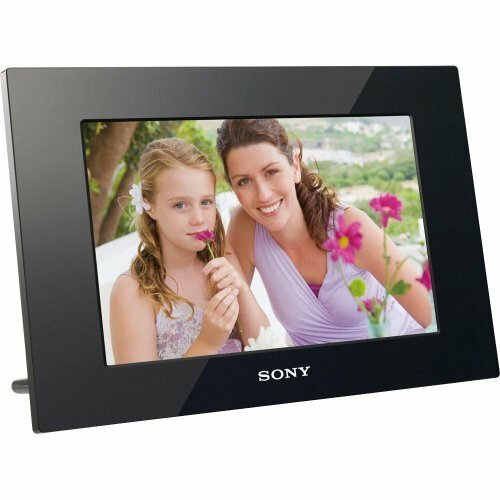 The DPF-D1010 digital photo frame lets you view up to 200, 2-megapixel images in vibrant color and crisp detail on the WVGA LCD. Transferring your photos is a breeze with direct USB input and a multi card slot with support for most memory cards. Display your photos as single pictures, multiple thumbnails or slideshow presentations. You can even view a clock or calendar along with your pictures.Beautifully display your favorite photos with the easy-to-use 10"1 LED backlit digital photo frame. View your photos as single images or as a slideshow using fun transition effects. There’s room to store up to 200 of your best photo memories. Enjoy your favorite memories of family and friends in vibrant color and crisp detail on the 10.2" LCD. Don't keep your favorite pictures and movies hidden away on your computer. Put them out where everyone can see and enjoy them. Display your photos as single images, or as engaging slideshows with your choice of creative transition effects.